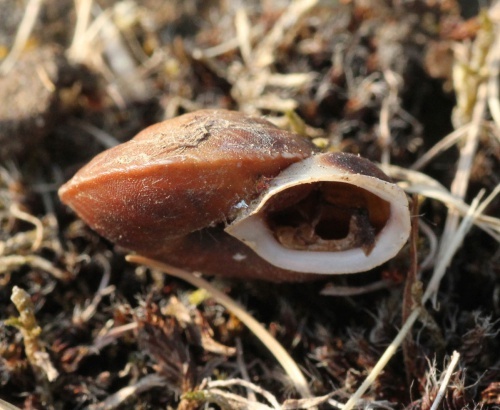 The shell of this species is approximately 20 mm in maximum dimension. 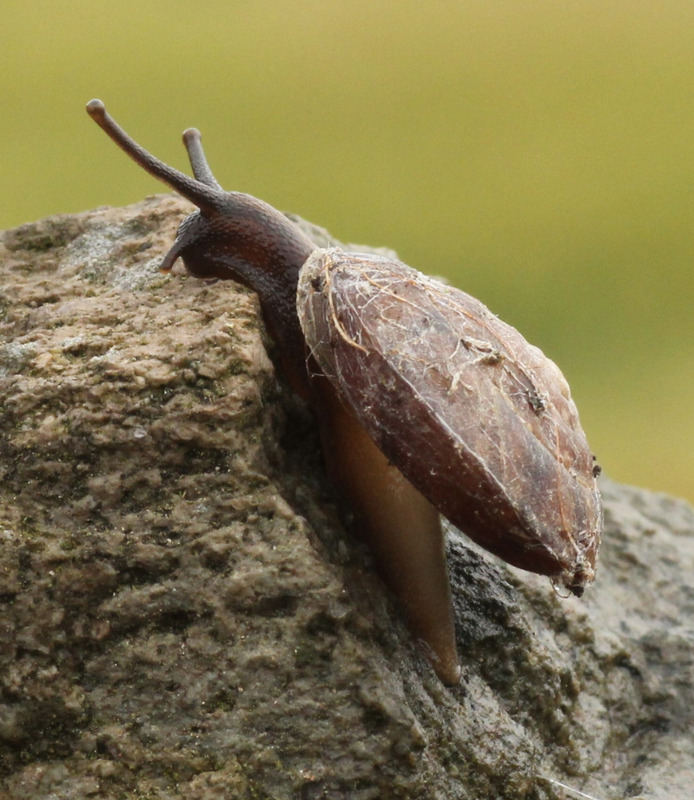 The lapidary snail has got a characteristically lens-shaped shell with a clearly visible keel. The shell has a grey-brown colour with blurred red-brown spots. Because of the shell form the aperture is very oblique; the lip is distinct and whitish. It is set off the shell surface. The umbilicus is wide and open. As this species is uncommon in our area, a photo is normally required. Shady rocks and walls (especially those overgrown with ivy) and tree trunks, especially Beech, Hornbeam and Sycamore. 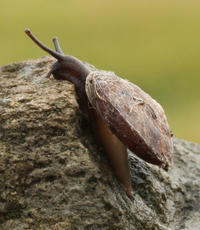 The characteristic form of its shell enables the lapidary snail to withdraw into crevices in rock or bark during dryness.